Codeine is a pain medication that has potential for abuse and addiction. When someone stops using codeine, cravings are common and can lead to relapse if not managed effectively. Recovering users can deal with cravings by practicing certain techniques designed to prevent relapse. Codeine belongs to a class of drugs known as opioids. It it used to treat mild to moderate pain and as a cough suppressant. When abused, opioids have a potential to create cravings or powerful urges to continue using. 1 While each person experiences cravings differently, they generally occur as physical or psychological cravings. The feeling of a “knot” or “butterflies” in the stomach. Difficulty focusing on anything other than the craving. How Long Do Cravings Last? Typically, codeine cravings begin during withdrawal. They can continue for months or even years after physical dependency has passed, though they tend to lessen, both in frequency and intensity, as time goes on. A craving itself tends to last for approximately 10 minutes to 30 minutes and can occur at any time. The length of a craving may vary widely for different people or different cravings. Some people may experience shorter, less intense cravings, while others may endure longer, more powerful cravings. The same person may experience different types of cravings as well. They generally happen less often and become less intense over time as one remains in recovery. Triggers for cravings can be either internal or external. People can be a common trigger. Being in places associated with drug use, such as places where codeine was obtained or places previously frequented by the user, may trigger a craving. Things associated with use, such as pill bottles, paraphernalia, places where the drugs were stored, or having an excess of cash also can trigger an urge to use. Finally, stressful situations may increase the likelihood of cravings until the user learns stress management techniques. Relapse prevention is a widely studied area, and quite a few effective therapies are available to help manage cravings. Cognitive behavioral therapy (CBT) helps users manage cravings and reduce the risk of relapse. CBT is based on the idea that addiction is a learned behavior. 5 Other practices, such as consequential thinking, mindfulness, and urge surfing also can be very effective therapeutic techniques to prevent relapse. Consequential thinking has the user explore the negative consequences he or she has experienced in the past as a result of drug use. This can help break down the belief that “just one won’t hurt” or “it’s not a big deal to use a little” and enhance an individual’s motivation to change. Mindfulness is a meditation technique that involves consciously staying in the moment while observing one’s own thoughts and sensations without judgment. This can help one understand the experience of craving without creating the anxiety of being concerned about relapsing. It can relax the person enough to be able to examine the situation and thought patterns leading up to the craving. Relaxation techniques are highly effective in stressful situations, such as when dealing with interpersonal conflict, attending social functions, going to work, and driving, as well as help falling asleep. Relaxation techniques may involve deep breathing, progressive muscle relaxation – which involves consciously tensing and relaxing the muscles – or even guided imagery. Meditation can help an individual relax and assist him or her in dealing effectively with day-to-day stressors. Distraction techniques take one’s mind off of a craving, and can include watching television, listening to music, reading, and writing or journaling. Exercise is another distraction technique that has multiple benefits, such as a boost in mood due to the release of endorphins. It also aids in the quality of sleep one will have, which can be a struggle for those in early recovery from codeine and other opiates. Recovery can be difficult, and there are a number of options available to those who fear relapse or need additional support or even professional help. 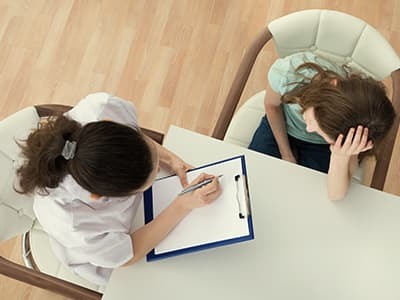 Inpatient treatment includes living at a recovery center while receiving detox (if necessary); individual, group, and family therapy; medical care and medication management; and relapse prevention planning. You can remove yourself from everyday triggers while working with addiction professionals on techniques to manage cravings and address any other issues related to your addiction. Outpatient treatment also offers a variety of therapy types and may include detox. You can work on techniques to deal with cravings, but you won’t receive quite as intensive a level of care as inpatient. Individual therapy can be used as a form of aftercare following inpatient or be used as a primary form of care. A CBT therapist can work with you on the techniques mentioned above as well as help you with any underlying issues related to your codeine abuse. For those people with little outside support, unstable housing, or unsafe living environments, sober housing may be an option to consider after attending treatment. Who Answers? for more information on codeine addiction treatment centers near you. Methadone – can help manage cravings and withdrawal symptoms from codeine or stabilize a person who is trying to quit codeine. Suboxone (buprenorphine/naloxone combination)– helps to control withdrawal symptoms and cravings, and blocks the effects of other opioid drugs for at least 24 hours. These drugs can be administered during detox to help reduce the intensity of withdrawal symptoms and cravings. They can also be given to a recovering user over the long term to help them get used to living in recovery and practicing relapse prevention skills. While medication-assisted treatment and formal therapy are highly effective, they work most effectively when paired with simple, natural techniques that can be practiced in any situation, with little to no training. Distracting oneself from the craving by reading a book, going for a walk, calling a friend or sponsor, or watching television. Participating in a regular exercise routine involving 20-30 minutes of physical activity several times a week. Individuals caught in a cycle of codeine abuse spend a lot of time thinking about, obtaining and, especially, using it. Recovering from the effects of codeine and finding positive activities to structure one’s day often can reduce the frequency, duration, and intensity of cravings. Relapse is a process and has many warning signs along the way. Warning signs don’t necessarily mean that a person is doomed to relapse, however. If the person notices these signs, he or she can reapply himself or herself to recovery, practice the coping techniques, and seek additional support to prevent relapse. Becoming involved with people, places, or things associated with substance use. Attending self-help meetings less frequently or not at all. Having changes in attitude and behavior, including eating or sleeping patterns. Glamorizing past drug use in thoughts or conversation. Relapse can be prevented by having the right supports in place. Support groups, self-help groups, sponsorship, and therapy are some ways to prevent relapse. 8, 9 Having a support network of individuals to talk to is another way to strengthen one’s recovery. If you need help finding treatment for codeine addiction or cravings, please call our helpline at 1-888-319-2606 Who Answers? . A treatment support representative can confirm your insurance coverage and provide you with treatment options based on your insurance. Forum Discussion: Codeine is Addictive?
. National Institute on Drug Abuse. (1998). A Cognitive Behavioral Approach: Treating Cocaine Addiction: Topic 1: Coping With Craving.
. Drug Enforcement Administration. (2015). Drugs of abuse.
. Kosten, T.R. & George, T.P. (2002) The neurobiology of opioid dependence: implications for treatment. Science & Practice Perspectives, 1(1), 13-20.
. World Health Organization (2007). Psychosocial interventions in pharmacotherapy of opioid dependence: a literature review.
. National Institute on Drug Abuse. (2012). Cognitive-Behavioral Therapy.
. McHugh, R.K., Hearon, B.A., & Otto, M.W. (2010). Cognitive-behavioral therapy for substance use disorders. The Psychiatric Clinics of North America, 33(3), 511-525.
. Harvard Health Publications (2009). Treating opiate addiction, part II: alternatives to maintenance.
. U.S. National Library of Medicine. (2016). Opiate withdrawal.
. Center for Substance Abuse Treatment. (2005). Medication-assisted treatment for opioid addiction in opioid treatment programs. Rockville, MD: Substance Abuse and Mental Health Services Administration. Treatment Improvement Protocol (TIP) Series, No. 43.